There’s much fun to be had in the extremely funny tale of Oscar the Hungry Unicorn: think The Very Hungry Caterpillar with added sass and sparkle. We defy readers of any age not to chuckle. A hilariously funny tale of friendship, belonging and LOTS OF EATING from the bestselling author of There Is No Dragon in This Story. Perfect for fans of Oi Frog. WITH SUPER SPARKLY GLITTER COVER! Oscar the Unicorn has eaten his stable so he needs to find somewhere else to live. Not easy if you're a unicorn who eats everything in sight ... No one wants him around: not the pirates or the fairies or the dragons. Will Oscar ever find a place to call home? Well, it just so happens that Princess Oola has been searching for a unicorn... FOR EVER! Join us for Saturday Storytime at 1pm where we'll be reading Oscar the Hungry Unicorn! 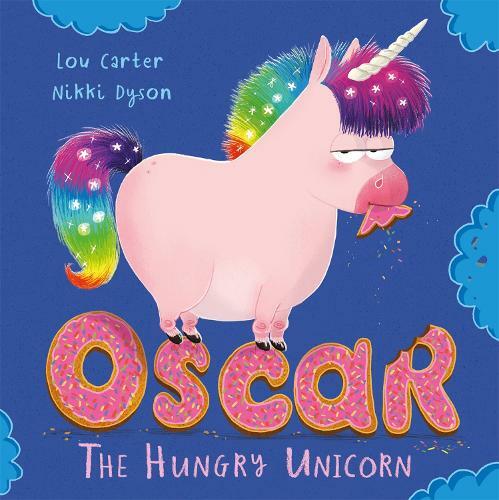 I loved Oscar the Hungry Unicorn, and my daughter and I giggled our way through this - this a funny, imaginative picture book, and absolutely perfect for little ones. Not ashamed to say that this is definitely one of my favourite picture books! My daughter and I have a blast reading this.